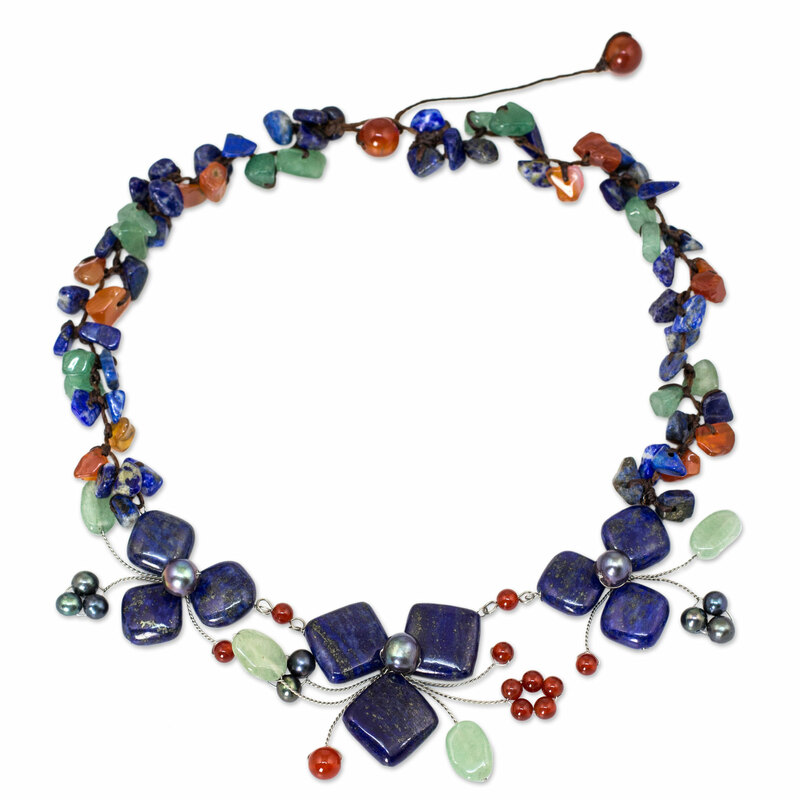 The ultimate statement necklace for spring is by NOVICA - Susan Said... WHAT?! This stunning collar style necklace handcrafted of natural stone is right on trend for Spring 2016! I love jewelry that makes a statement. And, oversized necklaces are some of my top picks. This spring, top designers like Givenchy have been showcasing some amazingly beautiful options. And, the hottest necklace length by far? The collar. However, these are not the “Material Girl” collars you may remember from back in the 1990s! This spring, the look is fresh, whether you lean toward a modern, industrial look, a rocker chic vibe, or a more romantic feel. For me, the ultimate spring necklace is the right-on-trend, natural stone collar by NOVICA, pictured. 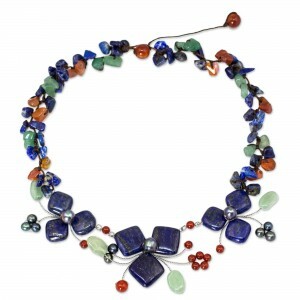 This piece is handcrafted entirely of beautiful stones like lapis lazuli and aventurine into a breathtaking work of art. The detail is astounding! I especially love that while the necklace is colorful, it is not gaudy like necklaces with fake glass “gems” or worse, plastic variations! The high quality of workmanship and materials is evident in just a glance. 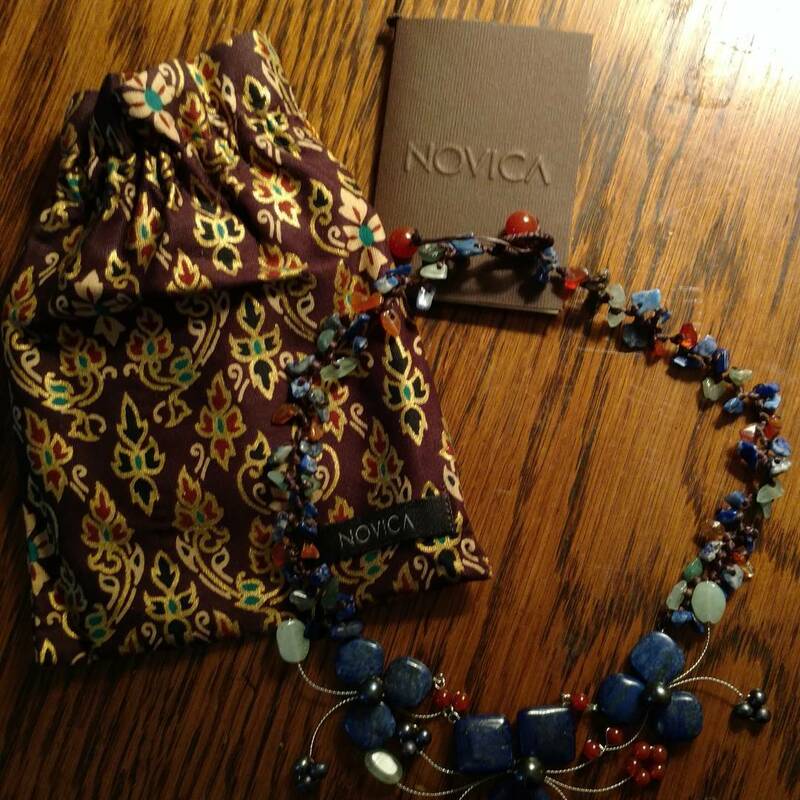 Like all NOVICA products, this lovely necklace is a Fair Trade product and arrives in a jewelry pouch with an official NOVICA Story Card certifying materials, quality and authenticity. And, the price can’t be beat. While the List Price is $73.95, Amazon Prime members can score this beauty for just $35.99, which even includes Free Shipping. But, maybe the best part is that when you purchase this necklace, you are also helping talented artisan designers from around the world make a better life for themselves and their families. NOVICA, in association with National Geographic, works together with designers from every corner of the globe to produce stunning, keepsake treasures. These artisans, many of whom live in rural communities, previously did not have the means to sell their work on the international market. Now, NOVICA gives them a free platform to do this, and reach customers on a global scale. 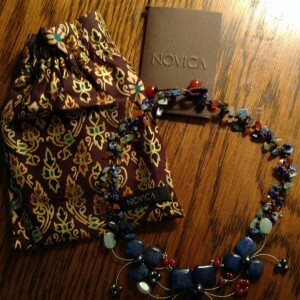 So, not only are NOVICA pieces, like this necklace, beautiful, they are actually making a real difference in the world! To learn more about the NOVICA mission, visit their website by clicking here. DISCLAIMER: No financial compensation was received in exchange for this post. I did, however, receive a promotional sample of the NOVICA necklace mentioned above at a discount in order to fully evaluate the product. Regardless, I only recommend products or services I believe will be good for my readers. Susan's Style for Monday. Dec. 20: The British are coming! This New Year's Eve, how will you wear YOUR little black dress? My Top 3 picks! Separator image Posted in WOMEN'S FASHION and tagged with NOVICA lapis lazuli necklace, Spring 2016 jewelry trends, Susan Conforte McNeill, Susan Said What?!. Bralette from Simlu allows you to embrace skin-baring spring styles beautifully! 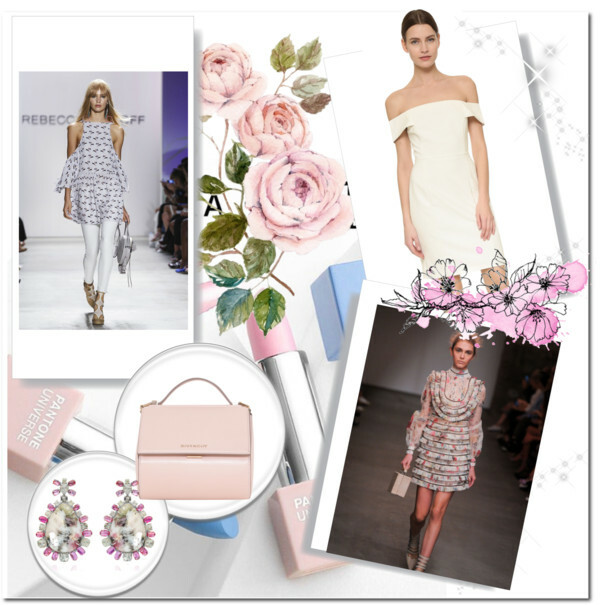 Spring fashion available now… and not a moment too soon!